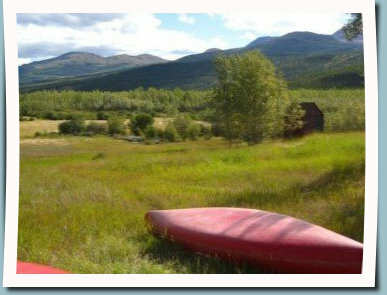 Take a short 45 minute drive from Whitehorse, west on the Alaska Highway towards Haines Junction. The wide Takhini Valley, once victim of a widespread wildfire now features a vast and vital ecosystem of new grown firs, spruce and poplars. Sprinkled with numerous meadows and ponds this area allows for a fantastic bird population, ranging from sand pipers to hawks and eagles. A full day hike starting close to the cabin will lead you through the Ibex Valley with its turquoise lakes and steep rock formation where the rare Ibex Sheep once roamed. Today you may spot the white flecks of Dall Sheep, listen to the excited shrieks of ground squirrels or – most of the time enjoy total solitude and quietness. 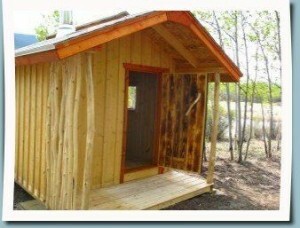 Your cabin is placed in a private spot, a few meters before the end of a drive way. Pyramid Mountain, the highest Peak of the Ibex Ridge, is seen to the south and invites for an amazing hike. 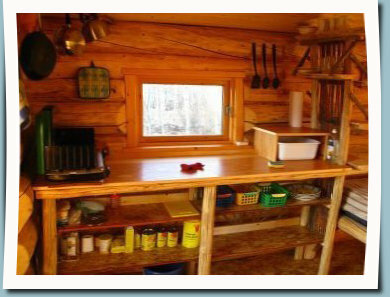 Cabin rental, firewood, propane, solar electricity, complete kitchen facility, mattress, pillows, pillow cases and blankets, literature. 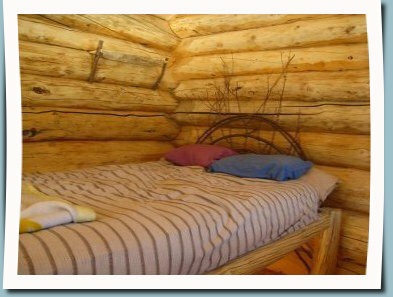 We can rent sleeping bags and fleece inlets. 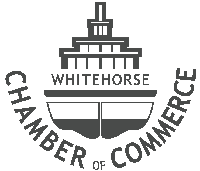 Leave Whitehors on teh Alaska Highway towards west / Haines Junction and Alaska. Stay on th eAlaska Highway west when you pass the junction with the Klondike Highway . You go straight ahead, do not turn right towards Dawson City. After another 15 minutes, you will pass a few freshly cleared parcels of land, check for a sign Yukon Wild Mile 933 on the left side of the road. Turn into that driveway and turn left again when driveway splits. Find your host at the end in the major log building. 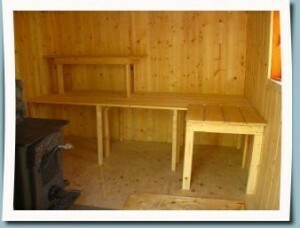 Your warmest place in the Yukon, the personal Sauna at your Ibex Valley Log Cabin. 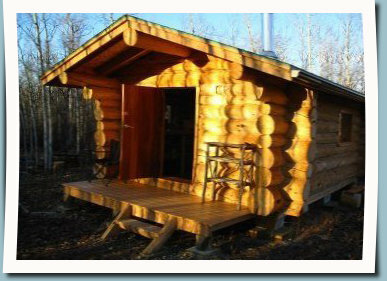 Made out of local logs and heated with the authentic Yukon wood stove, you will feel right at home. A cold water outside shower will set you up for another go at the inside of this picture perfect sauna.